Bonus: (Most of) these will even look good if your friends/family/co-workers wander away and leave you all alone. As presented by a variety of famous people. Oh lettuce, you slay me!! The happiest little meal there ever was. It takes no time at all to pull together. 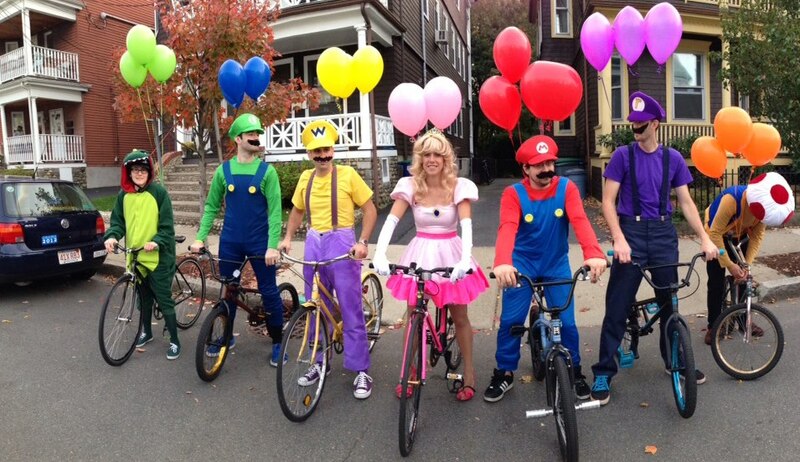 The bikes and balloons are what make this. The gem in the belly button is key. Bonus points if you have a bunch of humans who are different sizes. If you've already got a private-school uniform, the rest is just hats and silly fake French accents. You know how there are make-out costumes and non-make-out costumes? This is def the latter. See more Halloween costume ideas here!